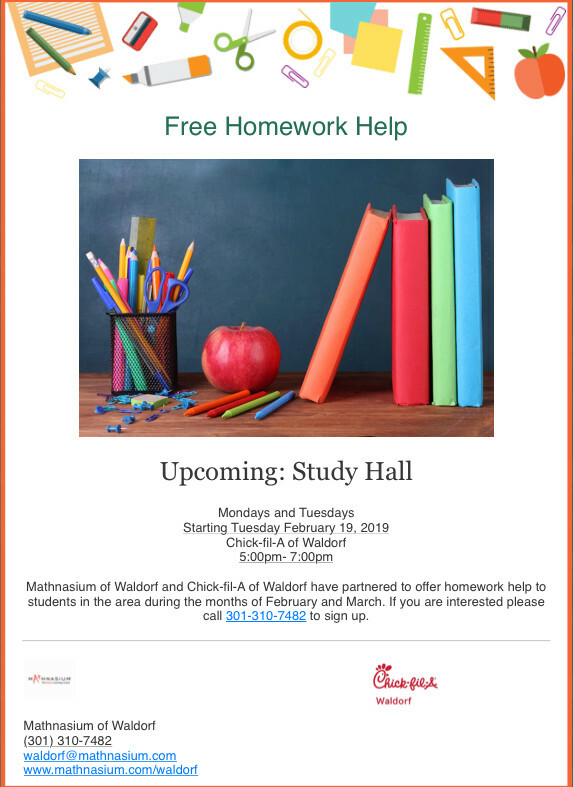 Mathnasium of Waldorf and Chick-fil-A of Waldorf have partnered to offer free homework help to students in grades 2-12. Come join us for Study Hall on Mondays and Tuesday from 5:00-7:00pm nightly throughout March. Call 301-310-7482 for more information and to sign up. We look forward to helping students gain confidence in math.